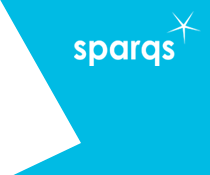 As a dedicated national student engagement agency for universities and colleges, sparqs is unique in the world. Therefore we are the subject of much interest from other countries and are regularly visited by teams from other sectors across the world and invited to provide consultancy. However, we also have much to learn about how student engagement works in other countries, where there is much interesting practice to explore. Researching and networking internationally is a vital part of our work to share effective practice from Scotland, learn from other countries, and set Scotland's approach to student engagement in an international context. We frequently meet and forge links with practitioners from across the world at sector events in Scotland and the rest of the UK, and have been invited to speak at national conferences in many different countries. Our most recent conference, took place on Thursday 28th March 2019, which was a great success. We were delighted to host 32 international delegates from across 8 countries - Australia, Belgium, Denmark, Ireland, New Zealand, Norway, South Africa and Switzerland - 8 of whom were involved in running sessions, and 5 of whom displayed posters. Delegates attending from outwith the UK were also offered the opportunity to attend an additional International Delegates’ Day on Wednesday 27th March. The day provided an opportunity to learn about the Scottish context of student engagement, including a visit to the University of Dundee, with some sightseeing and Scottish hospitality along the way! The day was a great success, with 22 delegates joining us. In addition to the international delegates day, we arranged some optional site visits to a college, universities and a sector agency. A range of visits were available, spanning the week of the conference. The visits allowed people to hear more about our student engagement and quality processes, whilst enabling visitors to see a bit more of Scotland! Our 2017 sparqs conference on Thursday 23rd March 2017, which again included a range of international delegates and presenters - Adam Gajek from ESU gave a keynote speech and sessions were presented by colleagues from Ireland, Armenia, Australia, New Zealand and Japan. In addition we had delegates from Italy, Spain, Norway, Belgium, Portugal, Romania and America, totalling 62 international delegates overall. Presentations from the sessions can be viewed here. At the 2015 sparqs National Conference held on Friday 29th May 2015, delegates from New Zealand and Slovena facilitated sessions, and we also hosted delegates from Ireland, Spain and Kosovo. On Thursday 28th May 2015 we held an International Delegates' Day as a precursor to the main conference, to give them an opportunity to learn about the Scottish context of student engagement. Although much of our work is shaped within Scotland, there are some implications from UK-level policymaking. We engage in relevant forums, and also work with partner organisations in other UK nations. These include The Student Engagement Partnership (TSEP) in England and the Wales Initiative for Student Engagement (WISE) in Wales. We have also developed links with the RAISE network of student engagement practitioners, researchers and student officers and have been contributing to their annual conferences for a number of years. Most recently, at RAISE 2017, we ran a workshop around Student Partnership Agreements. The theme of the conference, held at Manchester Metropolitan University, was 'Perspectives on student engagement; looking forward…thinking back'. At RAISE 2016 we ran a workshop and co-delivered a paper. The theme of the conference was 'Excellence in Student Engagement' and our workshop was around the sparqs Student Learning Experience. The paper we co-delivered was on student engagement in Institution-led Review, in conjunction with The Robert Gordon University's Gray's School of Art. At RAISE 2015 the theme of the conference was 'Student Engagement: Inspiring Innovation' and our workshop was around the importance of student feedback. At RAISE 2014 we ran a workshop and held a stall. We showcased a range of sparqs resources for mapping and planning student engagement, which are summarised via our news article published following the event. We engage widely with agencies and institutions across Europe, and have frequently attended and presented at Europe-wide conferences and been invited to contribute to events at national levels. We regularly attend and contribute to the annual conferences of EQAF, the European Quality Assurance Forum, presenting on topics such as the importance of student engagement to Scotland's quality enhancement framework and on the student role in university reviews. In recent years we have also been invited to present at a wide range of conferences by a number of European agencies, such as EURASHE (European Association of Institutions in Higher Education), ESU (Eurpoean Students' Union); IUT (Improving University Teaching). Read more about our European conference contributions here. From 2010 to 2013 we were a partner in the QUEST for Quality for Students project - a collaborative project exploring student engagement in different European contexts. You can find out more about it here. Most recently, sparqs has been involved in two other European projects, both of which come under the European Union's Tempus programme. Both projects kicked off in February 2014. More information can be found in our 2014 newsletter article. The first project is called ESPAQ (Enhancing Student Participation in Quality Assurance in Armenia), and focuses on student engagement in Armenian higher education's national quality processes. The project is led by ESU, the European Students' Union, and more information can be found on the ESU website and on our own ESPAQ webpage. The project hashtag, for following related Twitter activity is #espaqproject. The project is now nearing the end, which will include publication of a student handbook on quality assurance. The final management meeting and advisory board meeting took place in Brussels on 9th and 10th October 2017, followed by the final conference in Yerevan on 14th November 2017, and publication of the quality assurance handbook for Armenian students, which was written by sparqs. The second project, SIHEKSU, aims to establish a national students' union in Kosovo, a project which we are involved in jointly alongside NUS Scotland. To date there have been four visits to Kosovo as well as a Kosovar visit to Scotland in February 2015. As part of the project, we hosted a major delegation of Kosovan attendees at the sparqs National Conference in May 2015. The conference was successful in enthusing them about what a national union would be able to do and how they can take things forward. Our most recent visit to Kosovo, along with colleagues from NUS Scotland, was in October 2017, helping to deliver capacity-building training to the Kosovar Student Union members and develop the vision and mission for the KSU. Interest in sparqs - and our desire to learn - extends beyond Europe too. We frequently meet with and learn from visiting staff and students from across the world, often at Scottish conferences or as part of wider study tours to explore the Scottish sector. At the most recent sparqs Conference in March 2017, we were delighted to feature a number of international presentations, from colleagues in New Zealand, Australia, Japan, Armenia and Ireland. The presentation can be viewed here, along with presentations from all the conference sessions. Some of our most recent work so far in 2017 includes visiting South Africa to facilitate two workshops around student participation in quality in South Africa; and speaking at a seminar for Higher Education Reform Experts on student engagement in governance and QA in Kazakhstan. In 2016 sparqs supported a successful application for an Australian Learning and Teaching Senior National Teaching Fellowship. As a result of this work we were delighted to be invited to Australia in September 2016 to contribute to a symposium hosted by University of Technology Sydney (UTS) and deliver a series of workshops with both staff and student groups at UTS, University of Adelaide, University of South Australia and Flinders University. In both 2014 and 2015 we were invited to New Zealand by the NZ Union of Students’ Associations and the national centre for tertiary teaching excellence. In 2014 we contributed to a conference of a national project aimed at promoting institutional-level student engagement in NZ's polytechnic sector. We also took the time to meet with various other sectoral and governmental organisations. In 2015 we contributed to two national conferences, met with other agencies, and contributed our perspectives on a variety of topics including reviews, staff development and institution-student body partnerships. Read more about all of the above work here. We welcome requests to support student engagement activitites across the world, ranging from supporting the work of individual institutions to large-scale development projects at a national level. We can offer a range of services including staff/student strategic workshops, contributions to events and conferences, support to develop student training programmes and access to a range of events and resources. A current piece of consultancy work which we are excited to be involved with is the National Student Engagement Programme (NStEP) in Ireland, a collaborative initiative under development by the Union of Students in Ireland (USI), the Higher Education Authority (HEA), and Quality and Qualifications Ireland (QQI). The project aims to develop and implement a national student representative training programme and develop institutional capacity around student engagement activities. At an instititional level we are currently working with Artesis Plantijn Hogeschool in Antwerp, Belgium. To date we have run awareness sessions with both students and staff, facilitated strategic analyis sessions and have hosted students and staff on our 2016-17 summer residential training programmes. We are currently working with the student council to support their development of a 5-year student engagement plan.